Let’s talk about reading logs for a moment. Yes, I know I have gone down this path before, but it bears repeating because not a week goes by without someone asking about them. Asking how they can speak to their child’s teacher about the reading log they have now been assigned. Asking how they can convince their colleagues that they are not needed. Asking how they can change their own practices. As someone who used to believe in reading logs and assigned them myself, I get the draw. A way to check to see if kids are really reading outside of our classrooms – sign me up. We veil it in reasons such as to become a lifelong reader you need to read for pleasure. If I am not around to see that then I need proof. And yet, reading logs is every single year one of the top reasons that my students hate reading. As a parent, I have seen the damage firsthand. When presented with a reading log one year, Thea quickly informed me that ALL she had to read was the 20 minutes that it said, after that, she was done. It didn’t matter how much I told her that it was not just 20 minutes that she needed to read because the piece of paper told her so. And the paper trumped my insistence to simply read. We have been lucky in that every time a reading log has been sent home for our kids to do, three times and counting so far, we have had incredible teachers who have been fine with us not doing them. We explain that we read every night, that the log changes our carefully protected reading habits, and ask whether they will simply trust us when we say that our child reads. But this is not always the case, sometimes teachers insist that they are done, that they use them for grading purposes, that they are not an option. They attach rewards, punishments, special treatment to those who either do or don’t do the logs. As if parents signing a piece of paper tells us anything about a child’s reading habits. Because I am here to share a secret; as a parent, I lie on reading logs. I don’t always know which specific books my child just spent the last 30 minutes devouring. Sometimes I do, but not always. I can’t tell you the exact minutes of reading because we don’t keep track. Sometimes we simply forget to sign because life is busy. It reminds me of what Donalyn Miller says that the only thing a reading log proves is which parents have a pen on Friday morning. I write this post not to shun, not to rage, and not to put down. I write this post not to say what is right or wrong, but instead to add a little tiny piece to the ongoing discussion of where reading logs may or may not fit into our classrooms. Of the damage and the usefulness of reading logs. This is not a post with absolutes, or at least, I don’t think it will be. Instead, it is a post meant for discussion. One of the biggest reasons I know teachers use reading logs is the accountability piece, if students fill out a reading log then I can see their outside reading lives, and while that is sometimes true (remember, parents lie) there are better ways to do it that don’t involve the traveling of paper back and forth. How do I know my students are reading if I don’t check their reading log? How do I know that at some point their eyes meet a text? There are many ways actually. They sign in with their page number. On our whiteboard hangs a simple sheet that allows kids to put down the page they are currently on in whichever book they are reading. At the end of a week, I do an average tally for each kid. They have individual reading goals (set by them) that they keep track of in their notebooks and they also enter in their page numbers in a reading data sheet. This allows kids to see their own patterns of reading, as well as to reflect on their growth. I can quickly glance and see who is reading or not. I watch their reaction. Kids who read want independent reading time. Kids who are in a great part of a book want time to find out what will happen next. Kids who slowly get settled into their book, who distract others on the way; those are the kids I need to check in with and help. I keep an eye on their to-be-read list. As I confer with kids, I glance at their to-be-read list, it should be messy, with titles added and sometimes crossed out. I know which books have been book-talked so I can see when kids are using it. I kept an eye on their book bins. A whole bookshelf in my room used to be the proof that my students read. Periodically I would look through their bins, noting which books a kid has and whether those books had changed. If they hadn’t, I checked in with that child. We recommend. Another favorite in our room is the speed book dating. We quickly rattle off a book we love and why it should be read while the listener has their “I can’t wait to read ” list in their hand. We show off our reading. I have my reading door outside of the room so that my students always know what I am reading and my students can recommend books to their peers on a book tree. This makes our reading is visible. We discuss. Reading should not be a solitary endeavor so we make time to discuss our books and why they are the best or the worst book ever. I kid watch. If I want to know whether kids are reading, I watch them. Sometimes instead of conferring, I just sit back and pay attention. This is one of our great superpowers as teachers, don’t forget that. We reflect. I often ask students to tie in today’s teaching point with whatever they are reading right now. Whether it is on a notecard or through conversation, students take a moment to think and apply and once again lets me see what they are reading. We do monthly reading reflections. This year I really wanted to have a open dialogue with the students in regard to their reading life and although I do constant one on one or small group instruction, I wanted something more formal that I could file away and look at when needed. My students know they are not judged on what they write but rather that I use it as a way to start a conversation with them. I always appreciate their honesty and my actions show that. The surveys are quick and to the point. We have great books. If you want kids to read, have great books. I do not know how much money I spend a year on books, I know it is a lot, but every time I am able to book talk a book and see the reaction in my kids, it is worth it. Couple that with an incredible librarian and my students are pretty lucky in the book department. I lose a lot of books. Because I encourage my students to take our books home to read, I inevitably lose a lot of books. While it is hard to think of it from a financial standpoint, I also know that hose books are being read by someone. So yes, it is hard to constantly replace books (and expensive) but it is something that goes along with being a reading classroom. I have written before on my complicated relationship with reading logs; from being a teacher who demanded all students fill them out, to a teacher who threw them out, to a teacher who was asked to use them as part of their teaching, to a teacher whose students asked them to stop, to a parent who has signed them. But I have never written about how to use them better. Because I don’t like reading logs, there I said it, but at the same time, there are so many teachers that do, great teachers that care about children’s love of reading, and there are even teachers that have to use them. And I don’t feel that shaming others will further the conversations. My biggest issue with reading logs comes from the inherent lack of trust that they communicate; we do not trust you to read every night, we do not trust you to read long enough, nor do we trust you to grow as a reader, so fill out this paper instead. And while I could write a whole post on that, I think Jessica Lifshitz did a much better job on it than I ever will. And yet, I also see the value in getting a window into the reading lives of a student. I see the value of having students understand their own reading habits so they can figure out how to grow. To mine their own data so to speak in order for them to discover new patterns and new goals. So what can we do, if we have to use reading logs (or we want to) to make them better for students? Ask the students. Ask the students their feelings on reading logs and consider their feedback carefully. If most of your students think this tool will help them become stronger readers then work one out with them. For those that are opposed to them, figure something else out. If we truly want students to fully embrace the opportunities that we say can be found within a reading log then we need to make sure they have buy in as well. Create reading logs that are meaningful to the students, which means that they will probably look different from year to year, based on the students we teach. Ask the parents. I will flat out tell you that I will sign whatever I have to from school. I will not count the minutes, I hate writing down titles because we read a lot, and I do not see much value in her logging her reading every night. If you want proof, ask me in an email or in conversations, but do not make me sign a piece of paper. If some parents like reading logs then by all means work out a system with them, but exempt the other parents since more than likely they will probably not be invested anyway. Differentiate. For the kids that do want a reading log, find out what it is they would like to gain from it. I have a few students that love coming in every Monday and writing down the titles of the books they read or abandoned over the weekend (that is all they keep track of plus a rating). For those kids their record keeping is a way for them to remember what they have read and whether they liked it or not. They do not keep track of minutes or anything like that, we discuss that in our written reading reflections that we do once in a while or face to face. So find out what it is that the students like about logging their reading, if it is the reward that is attached to it then that should be a huge warning sign. Keep it in class. When I had to do a reading log in my former district, we kept it in class. Students were asked to write down the title and for how long they were focused on the book right after independent reading. That way, organization and parent follow up were removed from the equation and all kids (and me) were following the district expectation. Stop rewarding. If reading logs really are meant as a way to investigate ones’ own reading habits then stop tying in rewards with them. The reward is in the reading, not the ticket, not the pizza, not the trinket. Ever. Stop punishing. When we punish kids who do not turn in their reading logs, we forget our bigger purpose; to establish lifelong readers, instead investigate. Why was it not turned in? What happened? And for the sake of everything good; do not force a child to then miss recess to make up for the lost time in reading. You do not want to equate reading with punishment, ever. Make it an experiment. If you like using reading logs to find out student habits, then do it as a 2-week experiment with all students. Have them for 2 weeks keep track of when, where, what, and how much they read and then have daily or weekly conversations and reflections on what they discover. Set tangible goals from that. Do it periodically throughout the year if you really want this to be seen as a learning opportunity, that way students can see a value in tracking their reading life this way. If you have them do it all year, most students lose interest and will not see it as an opportunity to grow but just as one more thing to do. Leave time for reflection. Rather than log, we reflect. My students set monthly reading goals and then at the end of the month they reflect on how they did through a survey. The students and I will meet and discuss formally and informally and this is what I use for my vantage point into their reading life. I ask them to tell me what they are working on and they do. Don’t forget the purpose of reading logs. If the purpose is to help students grow as readers then make sure that the very act of filling out a reading log, with or without parent signature, is not damaging that purpose. It is often when we set up more processes for students in order to help them read better that we lose them as readers. When kids spend more time doing things attached to reading, rather than the act of reading we have a problem. In the end, in our pursuit to establish classrooms filled with passionate readers, we must make sure that the things we do, even little parts of our day like reading logs, do not do more harm than good. That we fit our processes around our students, rather than the other way around. That we continue to debate, question and consider as we decide what to invest our time in. And that we always, and I mean always, ask the students what they think. Even the little ones, they have a voice that matters too. For all my ramblings on reading logs, here is where to start. 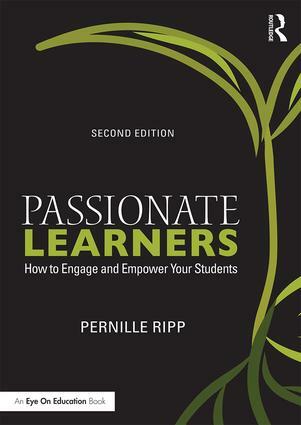 Pernille, can you speak more to the types of monthly reflection you do with your students? I do one once a term with my 10th graders but I’m thinking that may not be enough. What kids of questions do they answer? Do they change each time? I am also interested in what your monthly reflection looks like. I have done quarterly reflections and I put way too many questions in them. I always want to know so many things. Maybe you have a more concise way to get at what I’m looking for in my high school striving reader reflections. My grade-level partner and I have struggled mightily with reading logs, and became fully convinced last year that they were a detriment to motivating readers. Then, we attended Teacher’s College over the summer, where they encouraged the use of reading logs to track reading habits and investigate how much and how often students are reading. After a marking period of that, we have decided to abandon them again – we figure the students know enough about themselves as readers from tracking their reading for several weeks. We are moving to a log of completed books, with students setting an estimated completion date as a goal for each. We will see how that goes. It’s a constant struggle, but we will continue reflecting and tweaking until we find what works best for our readers and us. Right on! 🙂 I have many ways to assess my students’ reading, but logs aren’t one of them! The most important one is conversation. I wholeheartedly agree. As a teacher and homeschooler, I completely understand the sentiment. Instilling in our students the habit of regular and consistent reading is essential to our tasks as teachers and parents. If not done well, however, its a bit like telling our children to make their bed or eat their vegetables. Compulsory, something to be checked off a list. By way of analogy, I have noticed my kids tend to eat their vegetables when I begin to eat them with consistency and joy. 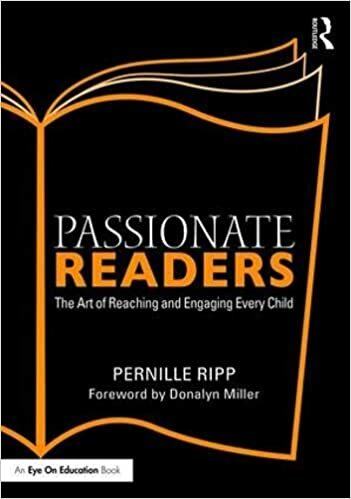 Though we cannot control this as teachers, I think getting parents to read regularly themselves, and then, read to and with their children, is critical. That is a harder task to accomplish. Maybe we should just have parents sign reading logs? That would be an interesting experiment!